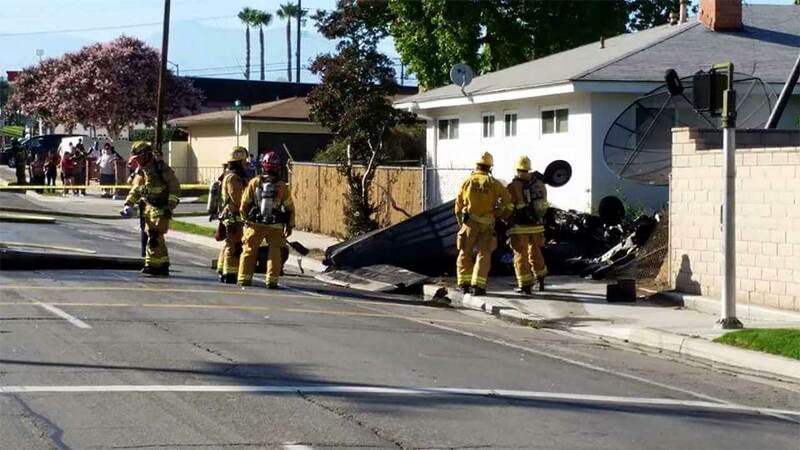 RIVERSIDE, Calif. -- A small plane crashed into a yard near the intersection of Arlington Avenue and Adams Street in Riverside Sunday afternoon, killing the aircraft's pilot. The pilot of the single-engine Beechcraft BE35 reported a loss of engine power before crashing about a half-mile east of Riverside Municipal Airport, Federal Aviation Administration spokesman Ian Gregor said. The aircraft caught fire after crashing and the pilot was pronounced dead at the scene. The FAA and the National Transportation Safety Board are investigating the crash, which has left 350 people in the area without power, according to Riverside Public Utilities. A small plane crashed near the intersection of Arlington Avenue and Adams Street in Riverside Sunday, July 26, 2015.